Provides state of the art solutions to maximize productivity. 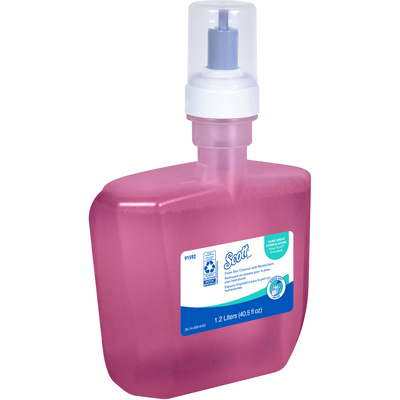 Luxurious, moisturizing pink liquid foam soap has a subtle floral scent and comes in a sealed container. The easy-to-load cassette is designed to be compatible with Scott dispensers, and the bottle is recyclable (after the pump is removed).